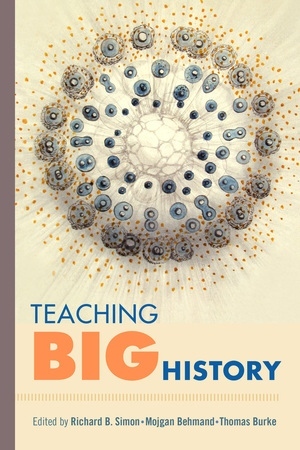 Big History is a new field on a grand scale: it tells the story of the universe over time through a diverse range of disciplines that spans cosmology, physics, chemistry, astronomy, geology, evolutionary biology, anthropology, and archaeology, thereby reconciling traditional human history with environmental geography and natural history. Weaving the myriad threads of evidence-based human knowledge into a master narrative that stretches from the beginning of the universe to the present, the Big History framework helps students make sense of their studies in all disciplines by illuminating the structures that underlie the universe and the connections among them. Richard B. Simon is Adjunct Professor of English at Dominican University of California, instructor of English at City College of San Francisco, and Contributing Editor at Relix magazine. Mojgan Behmand is Associate Vice President for Academic Affairs at Dominican University of California. She is also Associate Professor of English and former Director of General Education and First Year Experience. Thomas Burke is Assistant Professor of English and Cultural Studies at Dominican University of California.